Our 40th Anniversary edition catalogue is coming soon. 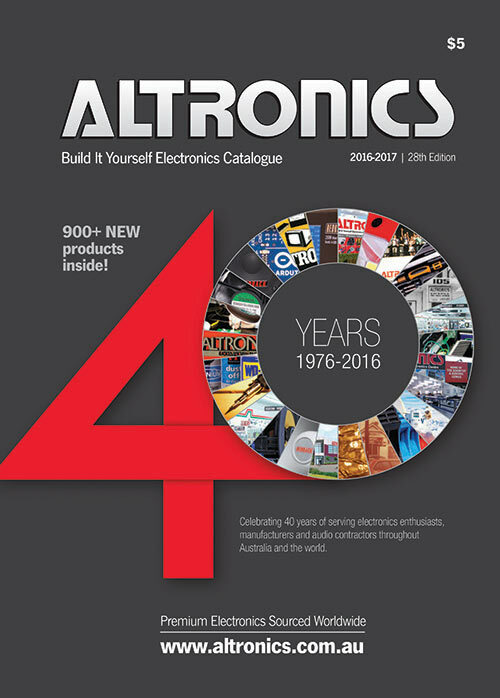 This years edition celebrates 40 years of serving electronics enthusiasts, manufacturers and audio contractors throughout Australia and the world. Our catalogue is produced every 18 months. Our dedicated staff work on this major project throughout the period to produce the publication. It is typically launched with the industry publication Silicon Chip Magazine. It is also bulk distributed to many organisations directly upon its release. It may also be downloaded directly from this website on February 12th. Whilst we believe it is a pleasure to read and peruse, we highly recommend using this website for everyday reference for the most up-to-date information on the latest products, pricing and availability. - Drop into one of our stores after February 20th (some stores may have copies earlier, please phone ahead to check) and collect a compilmentary copy. Sorry we cannot ship individual catalogues to international addresses, however we can ship with your order if you require a printed copy. Simply search for "B 0216" on our website and add it to your online order.